These are replacement headlight bezel finisher/surrounds for a Land Rover Defender, CNC milled from a one-piece 3" thick block of billet aluminum. These are a perfect complement to our SDO Defender Front Grille, and are likewise powdercoated black for a durable finish. Available with three different design options for the area between the marker lights & turn-signal lights - SOLID, VENTED, or POCKET MILLED. The factory headlight surrounds are extremely flimsy plastic, and tend to crack, break, and become brittle over time. Our solid aluminum headlight surrounds are a great upgrade to any Defender, and a durable solution that will last a lifetime. 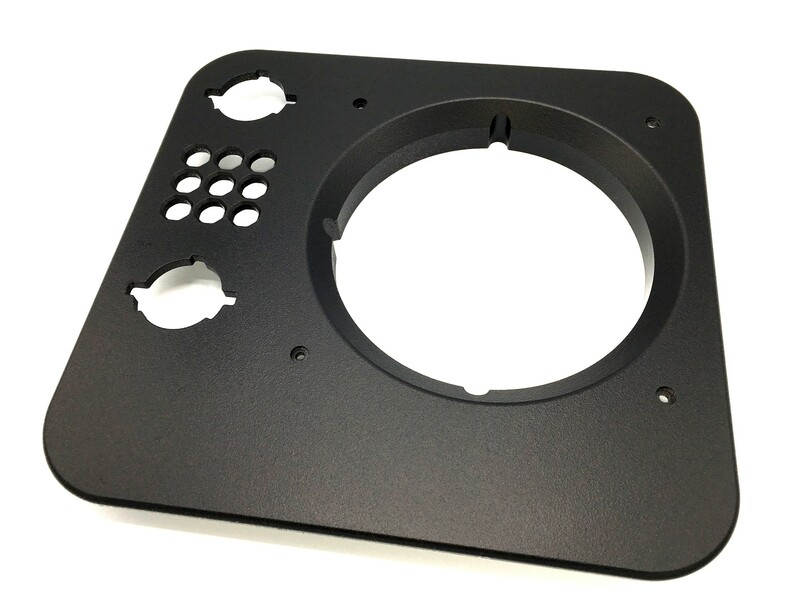 These are replacement headlight bezel finisher/surrounds for a Land Rover Defender, CNC milled from a one-piece 3" thick block of billet aluminum. These are a perfect complement to our SDO Defender Front Grille, and are likewise powdercoated black for a durable finish. 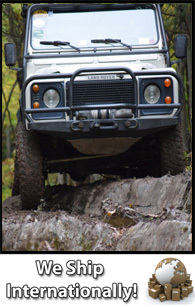 The Headlight Surrounds have been configured to fit ***any year*** Land Rover Defender from 1983-2015 (our design has incorporated the various mounting hole configurations for the marker lights & turn-signal lights for the different model year Defenders). Replaces factory part numbers: BTR7849PUC, BTR7850PUC, LR059128, LR059129 (coming soon: AWR1564PUC, AWR1565PUC for '95/'97 NAS). - "BLANK / SOLID" the solid version and has *no design* in this area between the marker & signal lights. - “VENTED” with full milled-through 3x3 set of octagonal cutouts between the marker/signal lights (which aesthetically matches the design on our SDO Front Grille). - "MILLED POCKET DESIGN" similar to the Vented, *but* is only pocket-milled (i.e. not milled all the way through). Includes one SET of Headlight Surrounds (i.e. leftside and rightside). Will work on both Right-Hand Drive AND Left-Hand Drive vehicles. Please note: the "VENTED" design technically is milled all the way through, which for any trucks that are Td5-era or later will need this as the horn resides in this area. However, this design will fit *any* other year vehicle as well - just please be aware that if you fit the "VENTED" style on a non-Td5 vehicle, it will have the vehicle paint color show through the 3x3 octagonal cutouts. PRODUCT NOTE: the 1995/1997 NAS/North American Spec vehicles have a different turn signal light orientation and cutout, and this configuration is still in development and will be available at a later date.